For the play for which the era was named, see Sturm und Drang (play). "Storm and Stress" redirects here. For other uses, see Storm and Stress (disambiguation). French neoclassicism (including French neoclassical theatre), a movement beginning in the early Baroque, with its emphasis on the rational, was the principal target of rebellion for adherents of the Sturm und Drang movement. For them, sentimentality and an objective view of life gave way to emotional turbulence and individuality, and enlightenment ideals such as rationalism, empiricism, and universalism no longer captured the human condition; emotional extremes and subjectivity became the vogue during the late 18th century. The term Sturm und Drang first appeared as the title of a play by Friedrich Maximilian Klinger, written for Abel Seyler's Seylersche Schauspiel-Gesellschaft and published in 1776. The setting of the play is the unfolding American Revolution, in which the author gives violent expression to difficult emotions and extols individuality and subjectivity over the prevailing order of rationalism. Though it is argued that literature and music associated with Sturm und Drang predate this seminal work, it was from this point that German artists became distinctly self-conscious of a new aesthetic. This seemingly spontaneous movement became associated with a wide array of German authors and composers of the mid-to-late Classical period. Sturm und Drang came to be associated with literature or music aimed at shocking the audience or imbuing them with extremes of emotion. The movement soon gave way to Weimar Classicism and early Romanticism, whereupon a socio-political concern for greater human freedom from despotism was incorporated along with a religious treatment of all things natural. There is much debate regarding whose work should or should not be included in the canon of Sturm und Drang. One point of view would limit the movement to Goethe, Johann Gottfried Herder, Jakob Michael Reinhold Lenz, and their direct German associates writing works of fiction and/or philosophy between 1770 and the early 1780s. The alternative perspective is that of a literary movement inextricably linked to simultaneous developments in prose, poetry, and drama, extending its direct influence throughout the German-speaking lands until the end of the 18th century. Nevertheless, the originators of the movement came to view it as a time of premature exuberance that was then abandoned in favor of often conflicting artistic pursuits. The literary topos of the "Kraftmensch" existed as a precursor to Sturm und Drang among dramatists beginning with F.M. Klinger, the expression of which is seen in the radical degree to which individuality need appeal to no outside authority save the self nor be tempered by rationalism. These ideals are identical to those of Sturm und Drang, and it can be argued that the later name exists to catalog a number of parallel, co-influential movements in German literature rather than express anything substantially different from what German dramatists were achieving in the violent plays attributed to the Kraftmensch movement. Major philosophical/theoretical influences on the literary Sturm und Drang movement were Johann Georg Hamann (especially the 1762 text Aesthetica in nuce. Eine Rhapsodie in kabbalistischer Prose) and Johann Gottfried Herder, both from Königsberg, and both formerly in contact with Immanuel Kant. Significant theoretical statements of Sturm und Drang aesthetics by the movement's central dramatists themselves include Lenz' Anmerkungen übers Theater and Goethe's Von deutscher Baukunst and Zum Schäkespears Tag (sic). The most important contemporary document was the 1773 volume Von deutscher Art und Kunst. Einige fliegende Blätter, a collection of essays that included commentaries by Herder on Ossian and Shakespeare, along with contributions by Goethe, Paolo Frisi (in translation from the Italian), and Justus Möser. A Sturm und Drang period is often attributed to the works of the Austrian composer Joseph Haydn from the late 1760s to early 1770s. Works during this period often feature a newly impassioned or agitated element; however, Haydn never mentions Sturm und Drang as a motivation for his new compositional style, and there remains an overarching adherence to classical form and motivic unity. Though Haydn may not have been consciously affirming the anti-rational ideals of Sturm und Drang, one can certainly perceive the influence of contemporary trends in musical theatre on his instrumental works during this period. Mozart's Symphony No. 25 (the 'Little' G-minor symphony, 1773) is one of only two minor-key symphonies by the composer. Beyond the atypical key, the symphony features rhythmic syncopation along with the jagged themes associated with Sturm und Drang. More interesting is the emancipation of the wind instruments in this piece, with the violins yielding to colorful bursts from the oboe and flute. However, it is likely the influence of numerous minor-key works by the Czech composer Johann Baptist Wanhal (a Viennese contemporary and acquaintance of Mozart), rather than a self-conscious adherence to a German literary movement, which is responsible for the harmonic and melodic experiments in the Symphony no. 25. The parallel movement in the visual arts can be witnessed in paintings of storms and shipwrecks showing the terror and irrational destruction wrought by nature. These pre-romantic works were fashionable in Germany from the 1760s on through the 1780s, illustrating a public audience for emotionally provocative artwork. Additionally, disturbing visions and portrayals of nightmares were gaining an audience in Germany as evidenced by Goethe's possession and admiration of paintings by Fuseli capable of 'giving the viewer a good fright.' Notable artists included Joseph Vernet, Caspar Wolf, Philip James de Loutherbourg, and Henry Fuseli. The Sturm und Drang movement did not last long; according to Betty Waterhouse it began in 1771 and ended in 1778 (Waterhouse v). The rise of the middle class in the 18th century led to a change in the way society and social standings were looked at. Dramatists and writers saw the stage as a venue for critique and discussion of societal issues. French writer Louis-Sébastien Mercier suggested that drama be used to promote political ideas, a concept that would develop many years later. After the Seven Years’ War, which ended in 1763, German spirit was extremely high and Germans felt a sense of importance on a grander stage. The aristocracy gained power as the ruling class, furthering the divide and increasing tensions between the classes (Liedner viii). With these new ideals came the sense that a new form of art capable of dethroning the extremely popular French neoclassicism was needed. Johann Georg Hamann, a noted German philosopher and a major promoter of the Sturm und Drang movement, “defended the native culture of the Volk and maintained that language, the root of all our experience, was richer in images and more powerful prior to the ‘abstract’ eighteenth century” (Liedner viii). Germany did not have a common nationality, and the nation broke up into hundreds of small states. The Sturm und Drang movement was a reaction to this lack of nationality and often dealt with the idea of living life on a smaller scale and the desire to become a part of something bigger. The Sturm und Drang movement also paid a lot of attention to the language of a piece of literature. It is no wonder that Shakespeare, with his brilliant use of language, originality with complex plot lines and subplots, and multifaceted characters from all social classes, was seen as a model for German writers (Wilson and Goldfarb 287). Many writers of the Sturm und Drang movement considered themselves to be challengers of the Enlightenment. However, the movement is actually a continuation of the Enlightenment. Many Sturm und Drang plays showed interest in how society affects the individual, a common theme in many Enlightenment plays as well. However, Sturm und Drang “makes its own distinctive contribution to 18th-century culture, bringing attention to the power of the environment as well as to the contradictory and self-defeating attitudes present in every segment of society” (Liedner ix). Far before its time, the divergent style of Sturm und Drang shrewdly explored depression and violence with an open plot structure (Liedner ix). The Sturm und Drang movement rebelled against all the rules of neoclassicism and the enlightenment, first recognized Shakespeare as a “genius” of dramaturgy, and provided the foundation for 19th-century romanticism. Writers such as Heinrich Leopold Wagner, Goethe, Lenz, Klinger, and Schiller used episodic structure, violence, and mixed genres to comment on societal rules and morals, while doubting that anything would change. The Sturm und Drang movement was brief, but it set a fire that still burns intensely today. Six main playwrights initiated and popularized the Sturm und Drang movement: Leisewitz, Wagner, Goethe, Lenz, Klinger, and Schiller. The theatre director Abel Seyler, the owner of the Seylersche Schauspiel-Gesellschaft, had an important role in promoting the Sturm und Drang poets. Johann Anton Leisewitz was born in Hanover in 1752 and studied law. He is remembered for his single complete play, Julius of Tarent (1776), which is considered the forerunner of Schiller's work The Robbers (1781). He was married to Sophie Seyler, the daughter of theatre director Abel Seyler. Heinrich Leopold Wagner was born in Strasbourg on February 19, 1747. He studied law and was a member of the literary group surrounding Johann Daniel Salzmann. He was a dramatist, producer, translator, and lawyer for the traveling Abel Seyler theatre company. Wagner was best known for his two plays, Die Reue nach der Tat (“The Remorse After the Deed”) in 1775 and Die Kindermorderin (“The Childmurderess”) in 1776. Child murder was a very popular topic in the 18th century and all of the major Sturm und Drang writers used it as a subject in their writings (Waterhouse 97). Die Kindermorderin was one of the most traditional plays of the Sturm und Drang. Although sharing aspects of neoclassical plays, such as a fairly simple plot and very few changes in the setting, it breaks away from the neoclassical idea that the protagonist must be of noble descent. Instead, this play shows how the aristocracy disrupts the lives of middle class characters (Liedner xii). This play also uses a vast array of colorful language to demonstrate the variety of characters and their social statuses. Another common theme seen in Die Kindermorderin is the idea of society hindering change. Groningseck, a lieutenant, seems to be willing to look past social norms and break down walls between the classes, but a fellow officer, Hasenpoth, betrays him (Liedner xii). Johann Wolfgang von Goethe was born in August 1749, in the Free Imperial City of Frankfurt, Holy Roman Empire. He wrote his first important play, Goetz von Berlichingen in 1773, in Shakespearean style, a defining characteristic of the Sturm und Drang movement (Wilson and Goldfarb 287). Shakespeare was considered a genius among German playwrights, and was idolized for his “shattering of the dramatic unities of time, place and action; and his sharply individualized, emotionally complex characters” (Waterhouse v). Goethe was well known for his staging as well as his long dramatic poem Faust (Goethe's Faust) (Wilson and Goldfarb 287). Goethe was the director of theatre at the Weimar Theatre where he eventually ran the entire company. He went to Italy for two years to collect himself and while there discovered the beauty of the Greek and Roman ruins. After this trip he returned with interest in classical ideas and writing, and a new form of writing emerged called Weimar Classicism. Jakob Michael Reinhold Lenz was born in Sesswegen, now Latvia, on the January 23, 1751. He studied theology and philosophy at the University of Konigsberg. 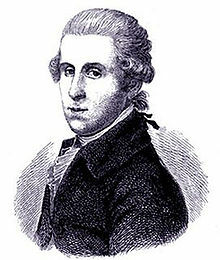 His first poem, Die Landplagen (“Torments of the Land”), emerged in 1769. He went on to write “Notes on the Theatre”, The New Menoza and Der Hofmeister (“The Tutor”) in 1774, Pandemonium Germanicum in 1775, and Die Soldaten (“The Soldiers”) in 1776 (Liedner xi). Lenz took Aristotle’s popular idea of plot being more important than character and reversed it, as well as reclassified the distinctions between comedy and tragedy. In Lenz’s works, tragedies feature characters that make decisions that cause events, and in comedies a resolute milieu pushes and pulls the character through events (Liedner xi). The Soldiers is most likely Lenz’s most distinct example of Sturm und Drang literature. It centers on an idea of degradation of civilians by soldiers, but more specifically the seduction and abuse of young women by soldiers. Illustrating an undesirable, conflicted character with no power over her situation who does whatever she can to get through her current state, The Soldiers displays a “well-observed world where one’s identity is fluid – and hopelessly entangled in the social and linguistic environment” (Liedner xi). This idea of feeling unable to change one's situation is typical of many Sturm und Drang plays. Lenz's use of reserved dialogue, open form, violence, and a combination of comedy and tragedy precursors the works of contemporary authors such as Friedrich Dürrenmatt and Bertolt Brecht (Waterhouse v). Friedrich Maximilian Klinger was born in Frankfurt on February 17, 1752. He was born into a humble family and struggled financially after the death of his father. He studied law at Giessen with the financial help of Goethe’s family. He also worked with the Abel Seyler troupe for a year and a half (Pascal 132). Although famous for his Sturm und Drang style plays, many of his earlier plays were very classical in style. Some of Klinger’s works include Die Zwillinge (1776), Die neue Arria (1776), Simsone Grisaldo (1776), and Stilpo und seine Kinder (1780). Klinger’s most famous play, Sturm und Drang (1776), is the seminal piece of literature associated with the Sturm und Drang epoch. Strangely, the play is set in revolutionary America, not Germany. We see allusions to Shakespeare’s Romeo and Juliet through the feuds of the households, as well as All's Well That Ends Well in some of the character’s names (Liedner xiii). Klinger utilized a defining characteristic of Sturm und Drang when he mixed aspects of comedy and tragedy throughout the play, stating “ the deepest tragic emotion continually alternates with laughter and joviality" (Liedner xiii). Friedrich Schiller was born in Marbach on November 10, 1759. He studied medicine at Karlsschule Stuttgart, a prestigious military academy founded by the Duke of Württemberg. He developed a strong relationship with Goethe, one of the most influential writers of the time (Wilson and Goldfarb 287). They were particularly interested in questions concerning aesthetics. This relationship led to an epoch known as Weimar Classicism, a style that integrates classical, romantic and enlightenment ideals (Leidner xiv). Following Schiller's plays Die Räuber ("The Robbers") and Kabale und Liebe ("Intrigue and Love"), he went on to become a major poet as well as to write famous essays and Weimar Classical drama (Leidner xiv). Die Räuber tells the story of two brothers, the younger of which is infuriated by how society favors the first-born child and he acts on his feelings without any regard to societal rules or social standing. In act five, his views on God “represent the most blasphemous attack on religion in German literature up to that time… [and] is a masterful work of social dynamics that takes deep German patterns of sensibility into account” (Leidner xiv). ^ Karthaus, Ulrich: Sturm und Drang. Epoche-Werke-Wirkung. München: C.H.Beck Verlag, 2. aktualisierte Auflage. 2007, S. 107. ^ Preminger, Alex; Brogan, T. V. F. (eds.). (1993). The New Princeton Encyclopedia of Poetry and Poetics. Princeton: Princeton University. p. 1. ^ Pascal, Roy. (April, 1952). The Modern Language Review, Vol. 47, No. 2. pp. 129–151: p. 32. ^ Heckscher, William S. (1966–1967) Simiolus: Netherlands Quarterly for the History of Art, Vol. 1, No. 2. pp. 94–105: p. 94. ^ Heartz, Daniel and Bruce Alan Brown. (Accessed 21 March 2007). 'Sturm und Drang', Grove Music Online, "http://www.grovemusic.com/shared/views/article.html?section=music.27035"
Brown, A. Peter. (Spring, 1992). The Journal of Musicology, Vol. 10, No. 2. pp. 192–230. Buschmeier, Matthias; Kauffmann, Kai (2010) Einführung in die Literatur des Sturm und Drang und der Weimarer Klassik. Darmstadt: Wissenschaftliche Buchgesellschaft. Heartz, Daniel and Bruce Alan Brown. (Accessed 21 March 2007). Sturm und Drang, Grove Music Online, "http://www.grovemusic.com/shared/views/article.html?section=music.27035"
Heckscher, William S. (1966–1967) Simiolus: Netherlands Quarterly for the History of Art, Vol. 1, No. 2. pp. 94–105. Leidner, Alan. (March 1989). C. PMLA, Vol. 104, No. 2, pp. 178–189. Leidner, Alan C. Sturm Und Drang: The German Library. 14. New York: The Continuum Publishing Company, 1992. Print. Pascal, Roy. (April 1952). The Modern Language Review, Vol. 47, No. 2. pp. 129–151. Preminger, Alex; Brogan, T. V. F. (eds.). (1993) The New Princeton Encyclopedia of Poetry and Poetics. Princeton: Princeton University. Waterhouse, Betty. Five Plays of the Sturm und Drang. London: University Press of America, Inc, 1986. v. Print. Wilson, Edwin, and Alvin Goldfarb, comp. Living Theatre: History of Theatre. 6th Edition. New York: McGraw-Hill Companies, 2012. Print. Wright, Craig and Bryan Simms. (2006). Music in Western Civilization. Belmont: Thomson Schirmer. Look up Sturm und Drang in Wiktionary, the free dictionary. BBC audio file. Radio 4 discussion programme In our time.